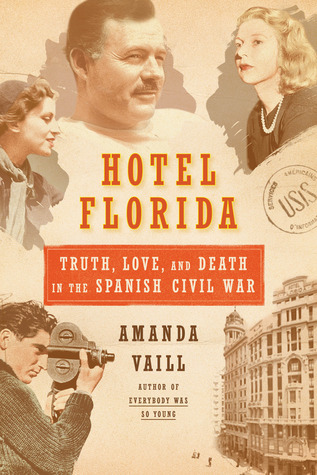 I recently read Hotel Florida by Amanda Vaill, published by Farrar, Strauss and Giroux in 2014. Vaill is an award-winning author of what is sometimes called creative non-fiction; Hotel Florida is based on Vaill’s extensive research into diaries, archives, and newspapers of the time, but reads more like a novel than academic history. Vaill focuses on three couples intimately involved in Spain’s Civil War (1936-39). They were Ernest Hemingway and Martha Gellhorn, American writers and reporters; Robert Capa and Gerda Caro, Hungarian and Polish-born photographers; and Arturo Barea, a Spanish author, and Ilse Kulcsar, an Austrian journalist and socialist. Other characters also populate the book. All these people congregated at one time or another in Madrid’s Hotel Florida, hence the book’s title. The Spanish civil war started out as a conflict between an elected left-wing government and the reactionary, monarchist and militarist opposition led by Francisco Franco. The government forces were variously referred to as Republicans or Loyalists (loyal to the elected republican government), while the opposition were referred to as Nationalists, rebels, or fascists. The conflict quickly became a proxy war between the Soviet Union and Germany, with the Western democracies watching from the sidelines after imposing a policy of non-interference. The Soviet Union supported the Loyalists while Nazi Germany supported the Nationalists. Franco won, and became dictator of Spain until his death in 1975. Hundreds of thousands of Spaniards had to flee the country in the immediate aftermath of the war, many living in refugee camps in southern France that rival those of Syrian refugees in the Middle East today. Although Spain has been a democracy since 1975, it has never come to terms with the civil war, and there is still active debate between those who think the past should be suppressed and those who think victims should be memorialized. All three couples on whom Vaill focuses were, loosely, on the government or Loyalist side. The book shows how journalists can, in fact, be exploiters of the ones about whom they are supposed to write. 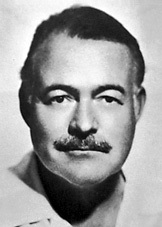 Ernest Hemingway seemed particularly oblivious to his own motives. He seemed to think that he was a member of the Loyalist forces, whereas in fact he was a swaggering, pseudo-macho camp follower, going to battles to find material for his essays and articles but staying well away from the battle lines. Martha Gellhorn was somewhat less oblivious. 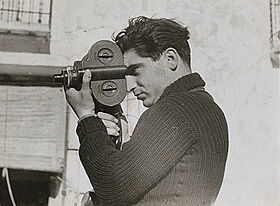 By contrast Robert Capa seems to have been aware of his ambiguous position. Perhaps Capa’s most famous photograph is of a Loyalist solider, captured in mid-fall after he is hit by a bullet. This photograph still symbolizes the Spanish Civil War, yet it was originally staged. Capa had asked a group of resting Loyalist soldiers to re-enact a battle so that he could take some pictures. One soldier stuck a pose on the crest of a hill, but precisely at that moment a real bullet shot by a real sniper killed him. Capa had to live with that moment the rest of his life, until he himself was killed by a land mine in Viet Nam when he was covering the independence war between the Vietnamese and the French. 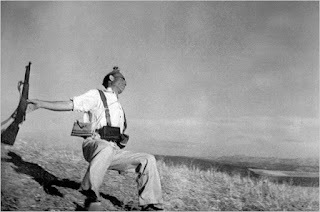 His partner, Gerda Caro, also a brilliant if less well-remembered photographer, was killed in Spain. 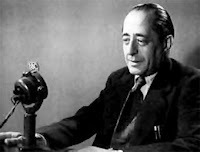 Arturo Barea was a bureaucrat who was put in charge of censorship for the Loyalist government during the war, vetting reports sent out by foreign journalists. He was assisted by the Austrian journalist, Ilse Kulcsar, who became his lover and later his wife. Barea and Kulcsar were insiders, not outsiders, and Soviet agents became very suspicious of them for not toeing the Communist Party line. They escaped to France and then England. Barea later became famous for his three-volume biographical memoir, The Forge, which I read many years ago and can still recommend to anyone who wants to know more about the Spanish civil war. Barea was the journalist most familiar with and most doubtful about vicious Soviet influence, the one most willing to oppose it. It’s interesting in this respect to note that Hemingway and his cronies ostracized the French writer, André Gide, after he published his book, “Return from the U.S.S.R.,” criticizing Stalin. I do not mean here to question the ethics of all journalists. I admire those writers and photographers who risk their lives in dangerous situations today, and whose reports and films force upon our attention what would otherwise be very distant atrocities. But I do want to point out how easy it was in Spain for Ernest Hemingway and some other pro-Loyalist journalists to overlook the atrocities perpetrated by the “good” as well as the “evil” side. Very soon after it started aiding the Loyalists, the Soviet Union sent agents to effectively take over the government, killing anyone suspected of antipathy to the Communist cause. One of the reasons for the Loyalist defeat was hostility between Spanish communists and anarchists; the Soviets disliked anarchists and made sure that they were brutally neutralized as a political force. Carousing with Soviet officials in bars and hotels, Hemingway seemed oblivious to this larger struggle, or perhaps he just enjoyed cavorting with the powerful. After reviewing Hotel Florida, I wish I could trot out the old adage. “Those who do not know their history are doomed to repeat it.” But I have always wondered whether knowing history makes any difference. 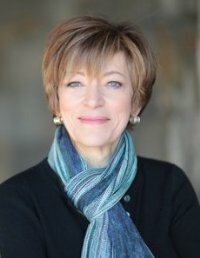 The policy of Western non-interference that aided in the downfall of the Spanish Republic resembled the policy of embargoing arms to all sides in the Yugoslavian wars of the early 1990s, which denied the beleaguered Muslims of Bosnia the weapons they needed. I imagine the Western democracies were hoping the Soviets and the Nazis would destroy each other in Spain, saving them the trouble. It didn’t turn out that way.